Set aside the shortcomings of your past and step into a new level of victory and favor with this book by Joel Osteen, #1 bestselling author and pastor of Lakewood Church.Many of us have let our minds become conditioned to thinking we've reached our limits, we've made too many mistakes, we'll never do anything great. What's happened? Instead of moving forward, we've adapted to our environment. Instead of pushing beyond our bounds, we've allowed a bad break, how we were raised, living with insecurity, or what someone did or didn't do to hold us back.The good news is that people don't determine our destiny-God does. And He has already taken into account every detail of our lives and factored them all into His plan. In his new book, Next Level Thinking, Joel Osteen writes that we weren't created to go through life weighed down by the past. God has destined us to rise higher-to the next level. When we leave behind the negative mind-sets, the scarcity mentality, and the limits others have put on us, we'll experience the life of victory, favor, and abundance that was meant for us all along. 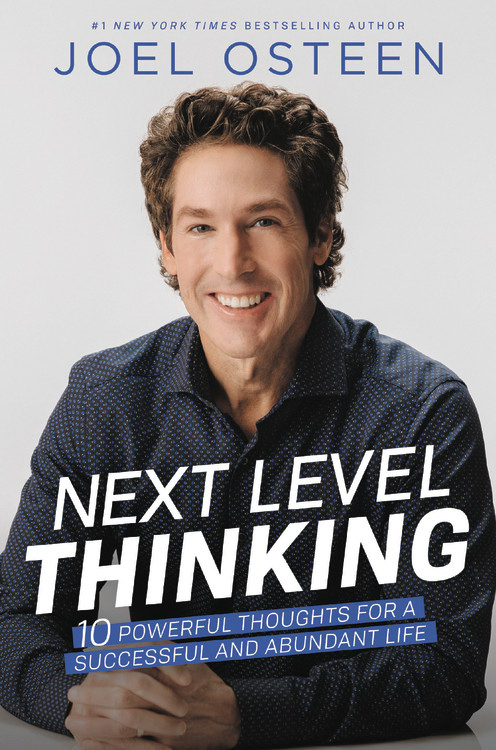 Next Level Thinking: 10 Powerful Thoughts for a Successful and Abundant Life by Osteen, Joel was published by Faithwords in September 2019. The ISBN for Next Level Thinking: 10 Powerful Thoughts for a Successful and Abundant Life is 9781546025979. Be the first to review Next Level Thinking: 10 Powerful Thoughts for a Successful and Abundant Life! Got a question? No problem! Just click here to ask us about Next Level Thinking: 10 Powerful Thoughts for a Successful and Abundant Life.